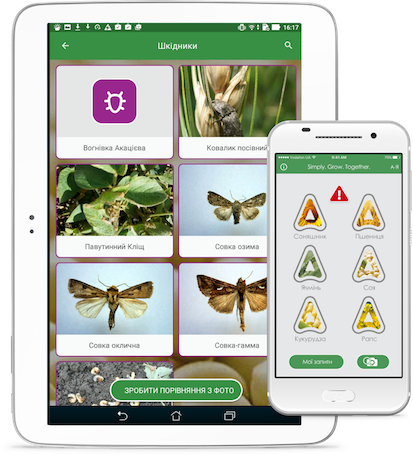 The first online assistant for the identification of diseases of agricultural crops in Ukraine. You just need to make an inquiry, to attach a photo and you get an answer to your problem. A "Must have" for each farmer. The service of searching for currency exchange offices (cash and non-cash) all over the world. The database is constantly supplemented by new objects. It will be useful if you travel frequently and do not like overpaying. 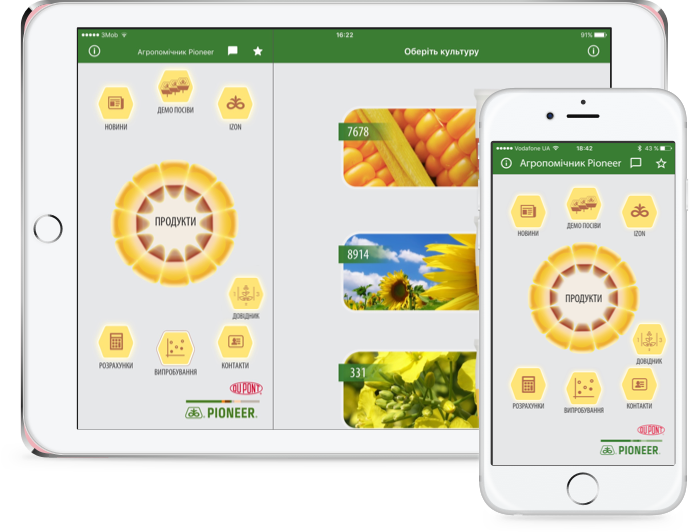 Mobile product catalog in the corporate style "Nufarma". Distributors' contacts are given in the form of an interactive map of Ukraine. 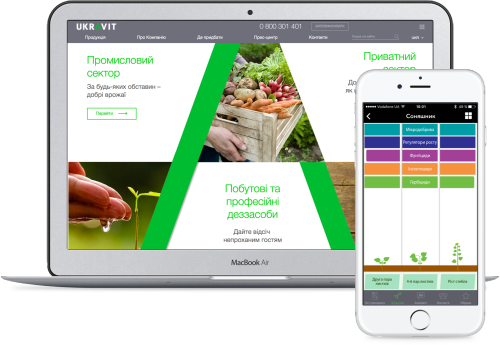 An advanced financial tool for Ukrainian agrarians. Shows trends in the domestic and foreign product markets, helps in planning the profit. 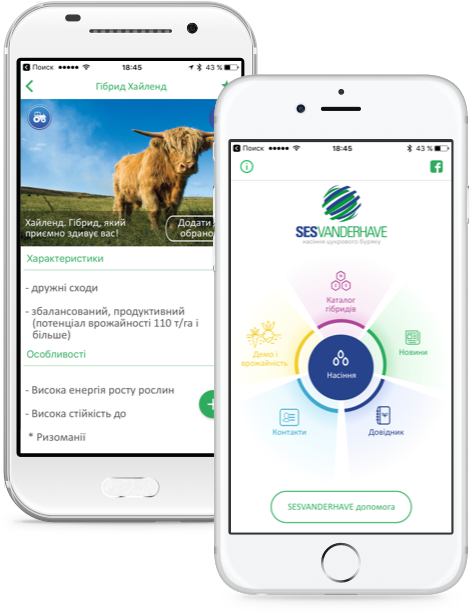 Mobile app for SesvanderHave company. This is a products catalog, and a guide on the main issues related to the sugar beet growing. 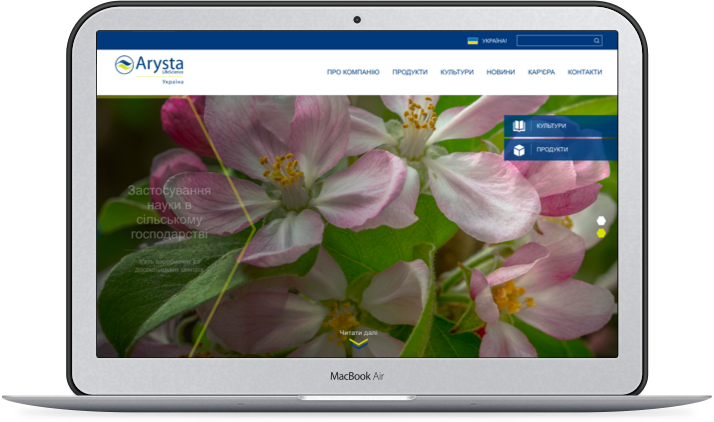 The corporate web-site of the international company Arysta. A mobile app to calculate lots of useful things: from computing systems to revenues of crop growing. Here you have the company's product catalog and the demo fields where these products are used. A decent solution for one of the market leaders in the industry. 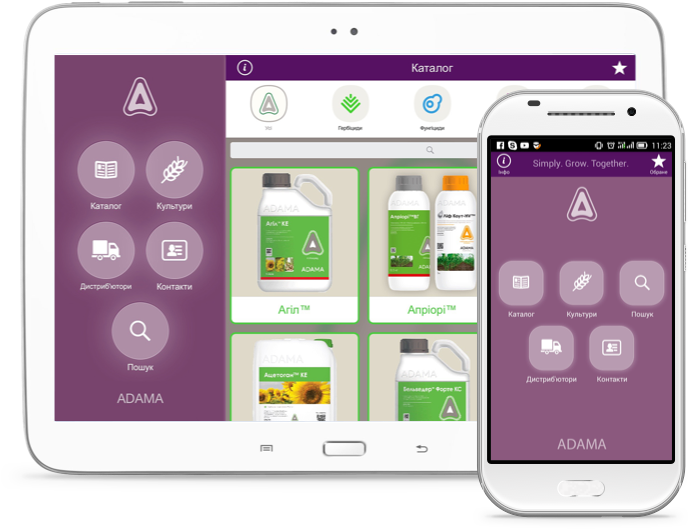 A usable product catalog from "Adama" company in the form of mobile application. You can search either by specific crops of by weeds. Every four months we change the app design theme, which is very symbolic for the agrarian business associated with the constant alternation of sowing seasons. 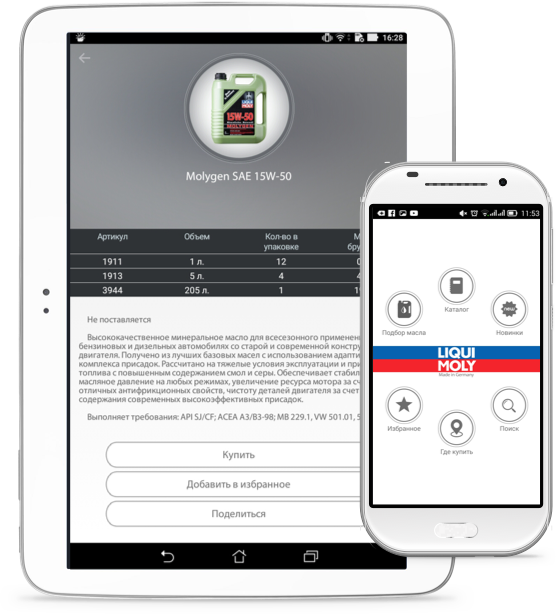 The mobile application of the German brand of motor oils and autochemistry "Liqui Moly". Among the main functions: the selection of lubricants by technology type, product search, map of sale points. 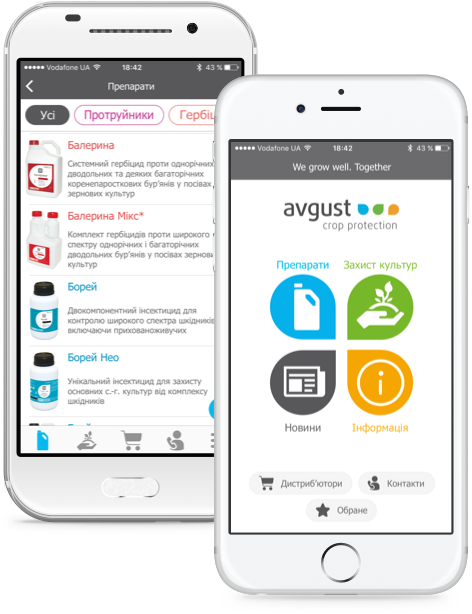 The mobile application and the site for Ukrainian company "Ukravit". The special feature for both solutions is an interactive scheme of plant protection. There is a chat and an e-commerce module for buying a product directly from the web-site. The web-site and the mobile application. Finding products by QR code, problem, crop, active substance, it is just some of the features of these software solutions. AgroPoint — промо-платформа с функцией геолокации. 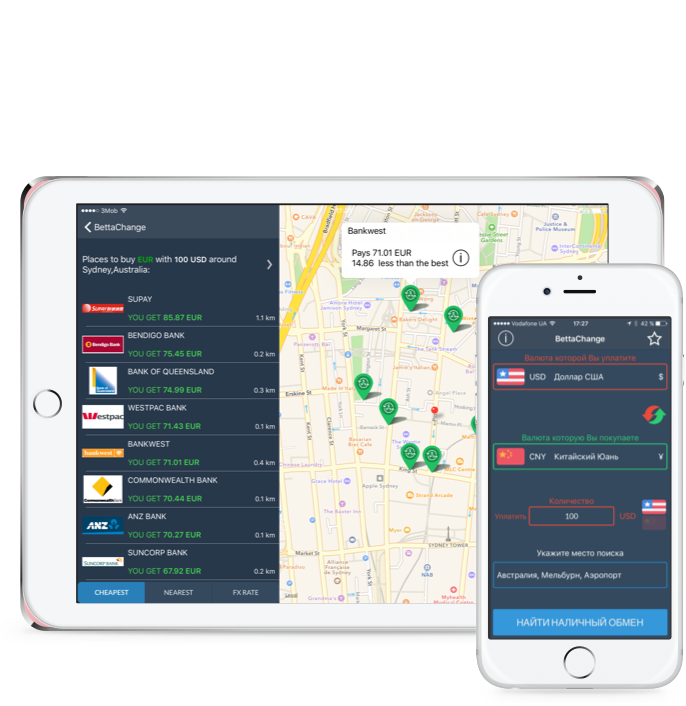 This mobile app combines a catalog, an electronic newspaper and a specific nozzle calculator. For a comfortable viewing of materials, a tablet version is provided. Обновленное приложение от Corteva Agriscience™, подразделения DowDuPont. And now, let’s talk about your new app!